Tobly is an online rental market network changing the way people rent equipment. Founded in 2015 by serial entrepreneur Pablo Carvallo. 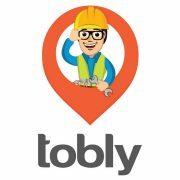 Tobly aims to reduce construction project delays by providing industry professionals with an interface to search and rent construction equipment quickly and easily. The technology allows contractors to connect with suppliers, make immediate financial transactions and stay in constant communication during the booking, delivery, hiring and return process. As a Tobly for Product Manager, you will be in charge of to execute the functionality roadmap for our enterprise product. You will own the end-to-end user experience of our enterprise customers, such as company profiles and supplier integration. Your performance will be measured by your ability to prioritize task, manage resources, and ability to launch new functionalities in a timely manner.